Challah, the traditional Jewish egg bread, is great on its own but it is transcendent as French toast. 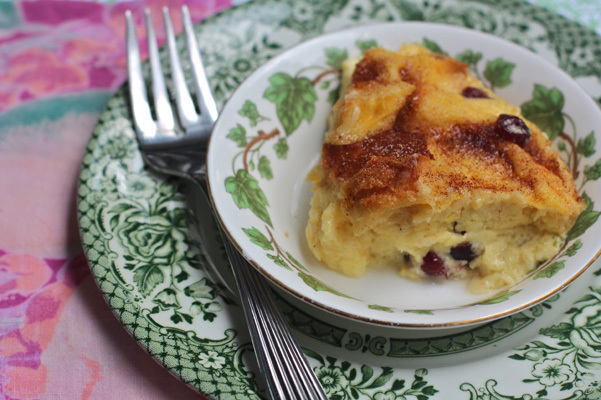 In an effort to create a French toast-like dish with the ease of do-ahead preparation I decided to create an Overnight Challah Bread Pudding. The challah is soaked in the custard overnight and takes mere minutes to put together. 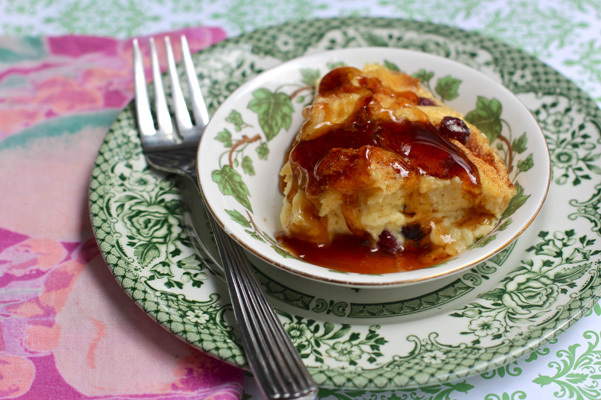 In the morning, simply remove from fridge while you preheat the oven and soon you will have a warm bread pudding perfect for a holiday brunch – or anytime you need to feed a crowd. So much better than standing at the stove making individual French toast. Serve with optional maple syrup (seen in image below). By the way, this was so delicious that my friends ate it up before I could get a good photo! I scraped the last little bit out of the dish to photograph. Coat a shallow 3-quart gratin dish with nonstick spray (I use a Le Creuset). Scatter the challah in the dish. Whisk together the eggs, cream, milk, sugar, vanilla and salt then pour over the bread. Make the sure the bread is saturated. Poke it down into the custard if necessary. Sprinkled the cranberries evenly over all. Cover tightly with plastic wrap and refrigerate overnight. 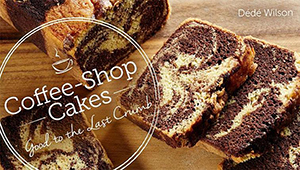 Remove bread pudding from refrigerator. Make topping by stirring together sugar and cinnamon and sprinkling over bread pudding. Position rack in center of oven. Preheat oven to 350°F. Place gratin dish in larger roasting pan and fill roasting pan with hot water to come halfway up the gratin dish. Bake for about 35 to 40 minutes or until custard is set. Remove from water bath and allow to cool briefly. Serve warm or at room temperature with optional maple syrup.